The ONE and only BOA!!! Made in Korea our unique Carpro BOA Microfiber towel features a circular knitted raised cloth. This creates the appearance, feel, and functionality of an Ultra Plush 500gsm cloth without the lint issues. It is in fact a 500gsm (gram square meter). NOW IN GREY and SUPER PLUSH at an UNBELIEVABLE PRICE...!!! When I opened my first shipment of these I was blown away! 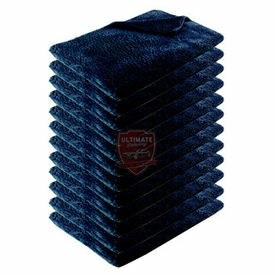 This is an ultrasoft microfiber towel that other stores are attempting to duplicate but none have managed to match. With no borders of any kind there is no longer fear of scratching soft paint. Do yourself a favor and try out the BOA today!